Nestlé is celebrating the 75th anniversary of its flagship instant coffee brand Nescafé. The brand, which was conceived soon after the Wall Street Crash in 1929, turned to be extremely successful and has spread across more than 180 countries. Nescafé, which is claimed to be the world’s first instant coffee, is now consumed in giant volumes—over 5,500 cups of different brand’s varieties are drunk every second globally. 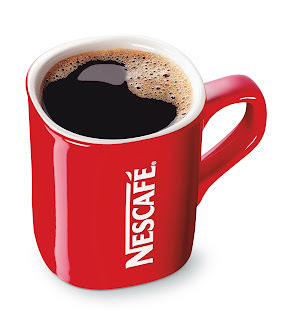 "Nescafe is a big brand with different faces," said CEO Paul Bulcke to Reuters. "Nescafe is growing very well in China, but also in Japan, which is an important market. For example in Asia, Nescafe 3-in-1 sticks with milk and sugar that are ready to be used, are very strong." “Over the past 75 years it has evolved from a tin of coffee to a full portfolio of products and systems," commented Carsten Fredholm, Head of Nestlé’s Beverage Strategic Business Unit. "Nescafe is present in over 180 countries and we are also highlighting its promise for future growth as it continues to lead the coffee beverage category." The brand is getting strong penetration in Chinese and Japanese markets and the imminent market availability of new Dolce Gusto systems for coffee pods and premium Nespresso machines. Professional coffee brewing Nescafé systems are now installed across 400,000 foodservice points worldwide, serving 175 cups per second. While expanding the volume of its coffee production, the brand also pursues sustainability goals as part of the Nescafé Plan outlined in Mexico City in 2010—by 2015, the brand aims to buy over 180,000 tonnes of coffee from sustainable sources.